Representing a relatively new and interdisciplinary field, this book, first published in 2002, explores the linkages between surface engineering and tribology across engineering fields, from the MEMs industry to the traditional machinery industry, to the transportation industry. While the characteristic size of the respective mechanical systems varies from nano- to tens of meters, overall performance critically depends on the near-surface mechanical, thermal and tribological behavior. Advances in surface engineering technologies enable surfaces with superior wear resistance, friction behavior and corrosion characteristics, without altering the desired bulk mechanical properties. This provides opportunities to engineer next-generation mechanical systems well beyond the current performance envelope. A better understanding of the tribological behavior of engineered surfaces is the key to the future success of many new (e.g. MEMS) and old (e.g. machinery and transportation) industries. 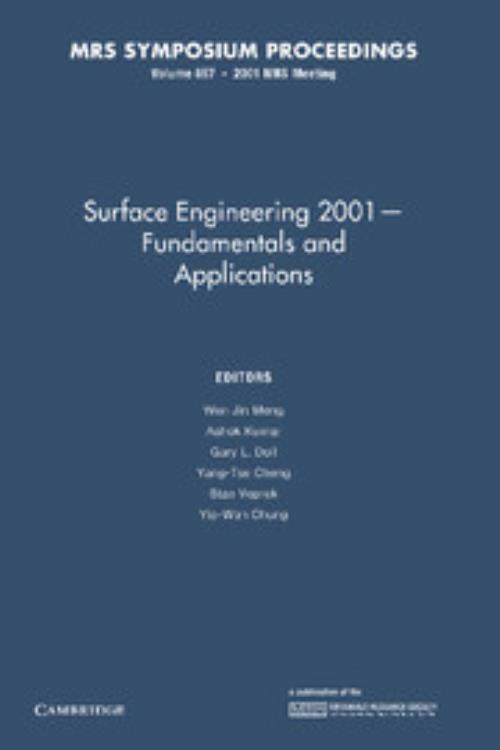 Advances on surface engineering materials, technologies and tribology are addressed in the book, as are numerical simulations and modeling related to the same issues. Yip-Wah Chung Northwestern University, Illinois.